Aeon Defense is a new tower defense game where your job is to protect your castle. 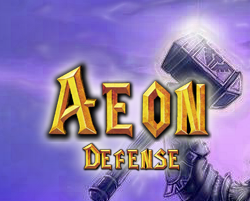 Read more details for Aeon Defense. Aeon Defense is a new castle defense game that is made in awesome looking isometric style. Take control of your units as you build towers, place turrets and align them in battle stances, so everything will be perfect when the enemies arrive. Defend the castle at all costs!